Frank J. Bertuca, an aggressive litigator, has obtained millions of dollars in benefits on behalf of his clients. He is one of a select group of lawyers to obtain rarely awarded penalties and attorneys’ fees against United Airlines, American Airlines and major automotive manufacturing and insurance companies for their unreasonable conduct denying benefits to injured workers. He proudly represents injured workers in courts throughout Illinois, including those in the airline, automotive, manufacturing, construction, law enforcement and fire protection industries. Frank has numerous trial victories and settlements for members of the AFA, ALPA, APFA, FOP, Grain Millers, IAFF, lEA, MAP, SEIU, Teamsters, TWU, UAW and many others. He speaks to and educates Union and professional organization members about work injury law. Frank is a faculty lecturer for the Illinois Institute for Continuing Legal Education Workers’ Compensation Institute and an author for the Illinois Trial Lawyers Association Education Fund. Additionally, the National Trial Lawyers named Frank one of the top 100 Trial Lawyers and in 2016 Leading Lawyers named him a top attorney. In the past two years Frank has recovered over $1.5 million dollars for injured police officers and firefighters. He has helped sheriffs’ deputies and corrections officers in Cook, DuPage, Kane and Winnebago counties, along with police officers and firefighters employed by municipalities and fire protection districts throughout Illinois. He has helped first responders with PEDA (Public Employee Disability Act) and PSEBA (Public Safety Employee Benefits Act) and volunteered his time arguing in his brief to the Illinois Supreme Court on behalf of disabled fire-fighters and law enforcement. Frank has helped thousands of flight attendants with occupationals or IODs (Injury On Duty). Through his clients, Frank has learned about significant risks of injury posed to flight attendants, including turbulence, crew bus accidents, and other risks that have resulted in serious neck, back and disc injuries, along with meniscus tears and total knee replacements. Flight attendants based in Chicago, Denver, Los Angeles, San Francisco, Newark, Washington D.C., London, and Frankfurt have sought out Frank for his counsel. In 2013, in the case of United Airlines v. Illinois Workers’ Compensation Commission, 2013 Ill.App. (1st) 121136WC, 991 N.E. 2d 458, Frank successfully obtained the Appellate Court’s reversal of the Circuit Court’s Order reducing wage differential benefits, ensuring his client will receive weekly compensation for the duration of his disability. This often-cited precedent helped shape the law on the fair calculation of wage differential benefits. Frank has also helped union and non-union workers that have suffered repetitive trauma causing wrist, elbow and rotator cuff injuries from assembly work. Frank has successfully fought FCA US LLC (formerly Chrysler) Adient-Johnson Controls and many others to raise awareness of the significant harm attributable to forceful repetitive work. 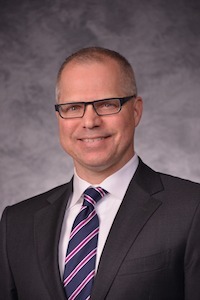 Frank joined Katz Friedman in 1999 to represent the injured. Prior to joining Katz Friedman, he practiced work injury law and pension litigation for several years. His prior experience representing corporations and insurance companies has provided him valuable insight to achieve maximum results for his clients. Frank developed an interest in litigation and ethical standards early in his career. As an undergraduate student, he was privileged to clerk for the Honorable Ronald Dozier of the McLean County Circuit Court, where he assisted in divorce and personal injury cases. He also worked on civil law cases as a clerk for the Honorable James Knecht of the Fourth District Appellate Court of Illinois. Frank is a member of the Illinois State Bar Association, Illinois Trial Lawyers Association and the Workers’ Compensation Lawyers Association. Frank and his family volunteer with UKANDU Chicago and support impoverished children through World Vision International.